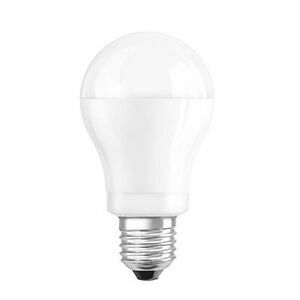 At first glance this E27 LED retrofits have much in common: both are not dimmable, should at least 806 lumens and less than 10 Watts of power consumption 60 W light bulbs replace and glow with “warm white” color temperature from Matt plastic cover. Laboratory values and test reveal however: there are enormous differences between the special model “ELV by Xavax” and the new “LED Star classic A 60 ‘ by OSRAM. 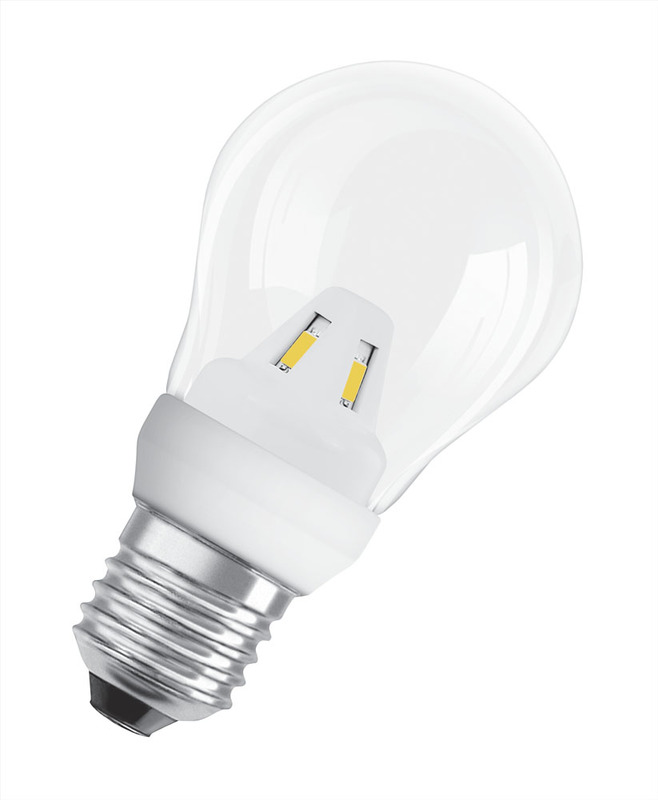 60-Watt incandescents were and are by far the most commonly used bulbs in Central European households. So if someone surrounded on LED technology, he or she often right there starts. There are now countless E27 Retrofits below the magical “numeric limits” just for LEDbulbbay: less than 10 Euro piece price under 10 Watt power consumption.This conversion is pretty inexpensive and easy especially if you do without dimming.Annoying remain sound, flicker, flickering, switch-on delays or oversized lamp housing saves you more then most of the time. Let’s start with the left lamp. Which is a typical “badge engineered”product, comes from the Hama GmbH & co. KG in Monheim, Germany, says “Xavax high line”, has just one “Stiftung Warentest” comparison won and is actually an rich two-digit amount. Electronic mailers ELV currently sells them as “ELV by Xavax” without further indication of origin (“made in?”) in blister pack (photo left) and want to Individually only 7,95 euros for it or Running out 22 euros in the three-set. What’s the catch? To anticipate it: there is no. In my test version that is open, hanging the lamp shone for about a half-second delay stable flacker – and largely flicker-free (see below). A quiet whirring was so absolutely bedroom appropriate in quiet environment on no more than five centimeters distance audible. According to my standard warm-up time of two hours (which must comply with even my partner laboratory before its measurements) showed my ‘Energy Master Professional-2’ gauge 9.4 Watts electrical power factor of 0.58. The professionals of “David communication” measured 0.59 almost identical values 9.6 W and factor, while the lamps with ELV in the “LightSpion” from “viso systems” from Denmark ample 10.2 W sucked (Download pdf) – probably cold, without long delay. At the hottest spot of the white cast aluminium housing – above, near the base – the infrared thermometer at that time registered moderate 74 degrees. The matte plastic cover below remained safely touched with approx. 25 °. The 12 cm long, maximum 6 cm wide and weighing 73 grams “Pear” has although no fins or the heat generated inside openings, but seems also quite good to be able to derive to the outside. It is therefore legitimate hope that the nominal lifetime of 25,000 hours of light and 40,000 cycles is not an impossible prophecy. 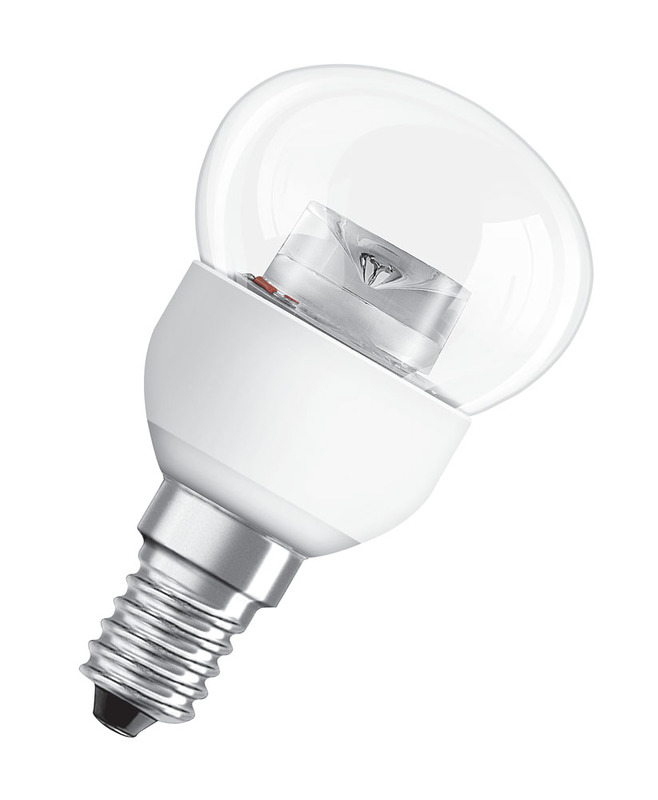 And how it looks with the core competence of this LED lamp – light? Surprisingly good, even better than promised. In the Integrating sphere were nearly 942 lumen luminous flux determined – approx. 136 lm more than the face value (Pdf download of the entire measurement protocol). That the colour temperature of the light-emitting diodes “Seoul Semiconductor” (South Korea), with around 2600 Kelvin about remained 100 K under the official specification and thus “warmer” indicates the “ELV by Xavax” something probably few customers as a disadvantage will register. As the spectral distribution suggests, the lamp also in the color accuracy measurements shows no weaknesses: RA 92.4 for the “General color rendering index” of eight measuring colours, ordinary 61.1 in the demanding additional color “saturated red” (R9) and very good 92.9 “Skin color pink” (R13). 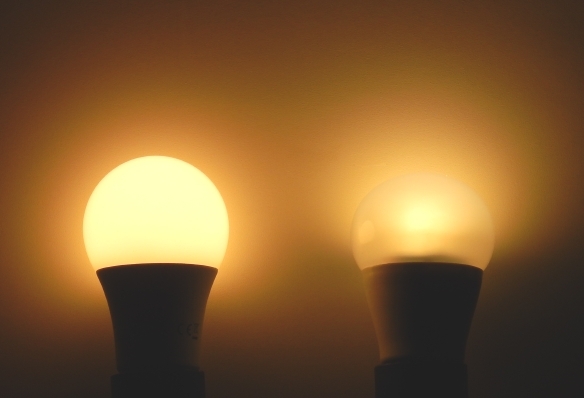 That “Saturated blue” (R12) with 82.3 rather average ‘ comes across, you might forgive a “warm white” LED lamp. On the strong play of rich Ducati red, there is little to bleating; the Orange shift by white and black is typical of this color temperature and an unpleasant green or pink stitch is not noticed. 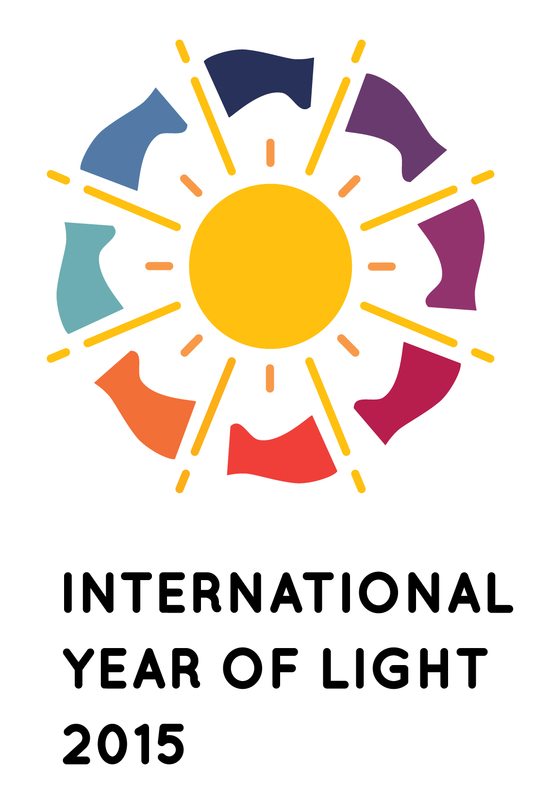 Overall, that makes a very pleasant representation of illuminated objects or living beings. Given this performance, it is all the more surprising that the “ELV by Xavax” creates anefficiency of almost 100 lumens per watt according to our measurement results. With an energy efficiency index (EEI) of 0.13, she confidently earned the EU eco-label A +. For this performance class, which is not long of course, especially since the difference between RA is often a loss of efficiency by up to 25% 80 and RA 90 LEDs. This looks pretty good, or? 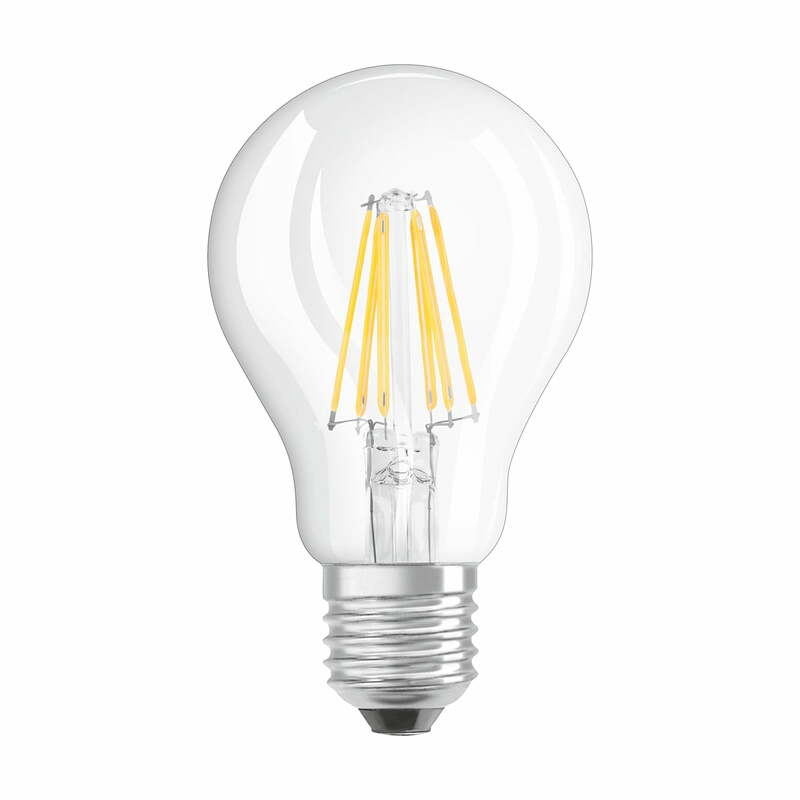 Lay people would distinguish that unlikely by the appearance of a matte 60-watt light bulb. And actually, the lab identified even a half value angle of approximately 252 degrees (Download pdf of the diagram), which means that at least half of the maximum luminous intensity is emitted within this space angle, it is also still pretty bright but outside it. 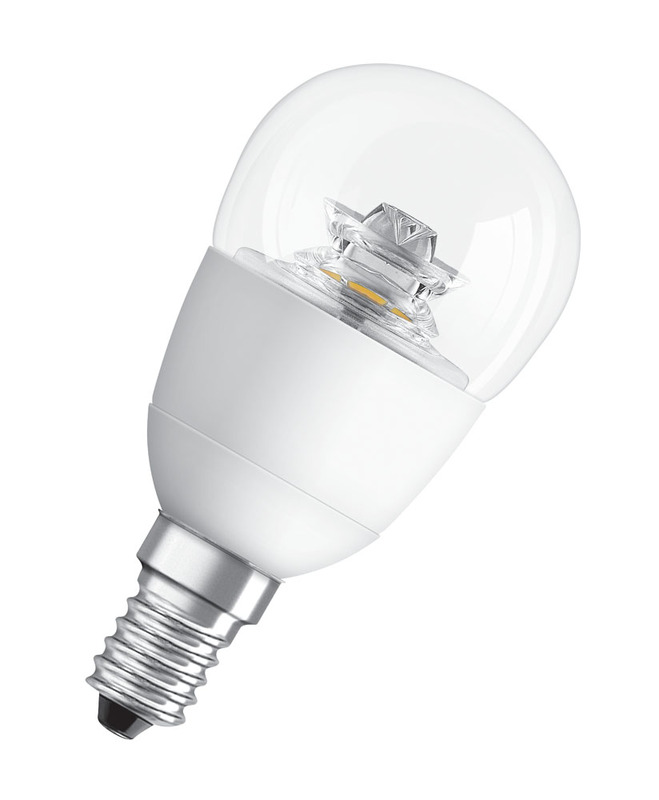 The installation position (standing, hanging, horizontal) plays only a minor role – in contrast to many E27 LED bulbs with 160 degrees or even narrow half value angle. 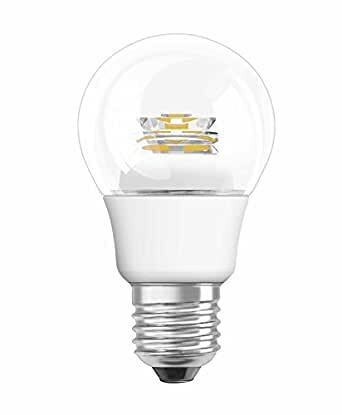 From a “warm white” LED lamp for less than 8 euros, from less than 10 Watt significantly more than 900 lumens with above RA 92 color fidelity and a half value angle of well 250 degrees ‘ get out, we would have two years ago hardly dared dream about. 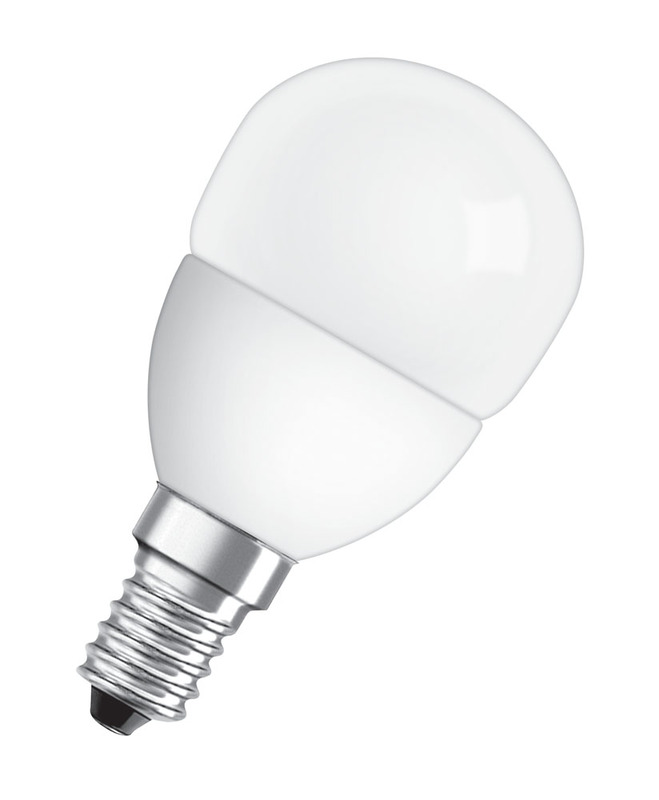 The “ELV by Xavax” provided by Hama (lamp imprint right) is although not dimmable and something great, leaves but otherwise almost no wish unfulfilled.In many cases, these “pear” can meet due to their extraordinary brightness even as a substitute for Matt 75-watt incandescent, providing a savings potential of around 87 percent. 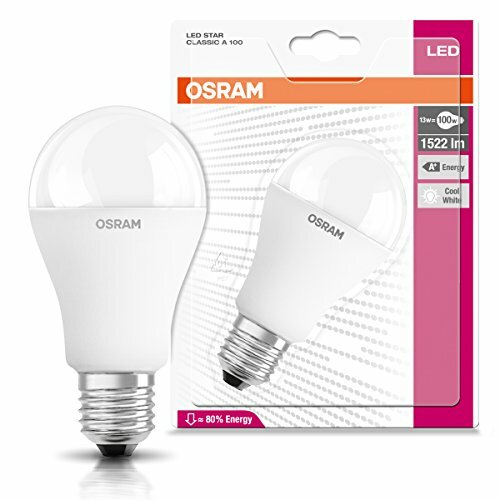 Are them 8 euro for the “warm white” LED a 60-watt light bulb replacement too expensive? No problem: Osram mountedin the Bavarian Eichstätt amongst the non-dimmable “LED Star classic A 60” with 8 Watt, around 800 lumens, and 2700 Kelvin. And she will be sold with blister packaging (photo right), partly for less than 5 euros – not bad for brand quality “made in Germany” with a three year warranty, or? All right: Most of the components comes of course from Asian and not from German production, otherwise would be to make much profit at this price level. And then it has even noticed to squander as little expensive cast aluminium housing material: the lamp with 11 cm long, maximum 6 cm in diameter and 64 grams weight pretty compact and easily got. The matte cover is obviously plastic, logo. You see? This is more an accent lighting as a circular spotlight. 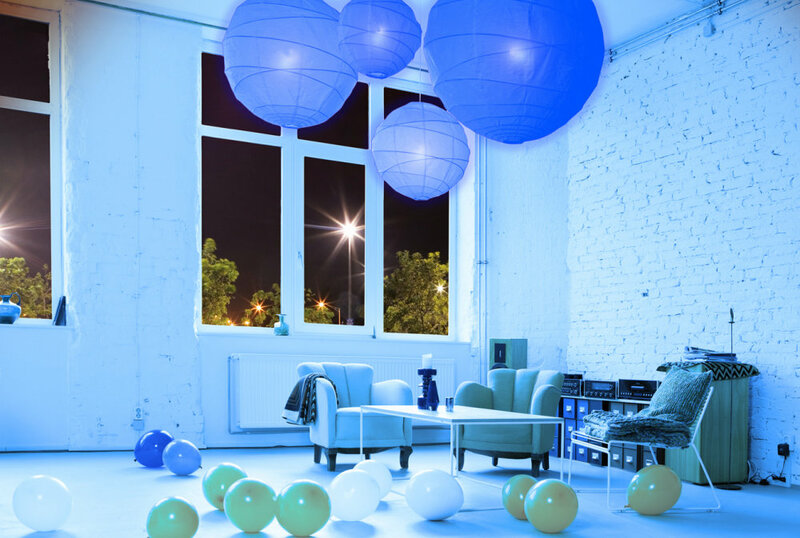 Most of the light goes up and diagonally on the sides – underneath the base, it remains pretty duster. Camera broke, drunk photographer? No, the Pro Lab by “David Communication” reveals the startling truth: this current OSRAM “Pear” is actually far behind the radiation capabilities of many others, also Much older OSRAM models back and has only about 124 degrees half value angle (Download pdf of the diagram). A similar result was also already at the beginning of the year the “Stiftung Warentest” measurement of 10 watt of powerful predecessor out. At that time there were just 120 degrees – a such low value that I wanted to believe him. Regardless of the additional readings and observations: this lamp only unfolded their talents when she specifically used. So, for example, hanging over the dining table, or standing in a lamp to the ceiling spotlighting. Universal application? You can forget unfortunately – gives away potential. Because otherwise there would be no reason to complain: in my open, hanging test version that launched “LED Star classic A 60 ‘ without noticeable delay, remained completely silent, pretty”cool”according to”Flicker tester”app on the iPod as well as flicker-free (screenshot left) and even after two hours of steady: maximum of 62 degrees up at the hottest point of housing, around 25 degrees at the bottom of the hood. The OSRAM data for the power consumption were confirmed on the point: with me there were 8.1 Watts at a power factor of 0.60. in the laboratory also 8.1 W and factor 0.61. If the nominal lifetime of 15,000 hours of lights and 100,000 switching cycles also works, I can not verify of course a reasonable test period. Brightness, color of light? Everything okay! Some other data, are back on the Pack (picture on the right), could, however, the Reppenstedt measurement professionals review: collected the sphere there well 828 lumen luminous flux – little more than promised (pdf measurement protocol). The official colour temperature of 2700 Kelvin was exceptionally well made with 2692 K, although I would have typed subjectively rather to 2800 or more. Light over-achievement of the heck there at the “General color rendering index”: RA 82.1 – sounds okay, but is not the full truth. Indeed the very weak value for the additional measuring color is one of the “Red saturated” (8.3 = R9). No cheering storms cause also “Lilac violet” (57.9 = R8), “Saturated blue” (73.5 = R12) or “Yellow saturated” (R10 = 79.1) from. One knows the corresponding spectral diagram with the radiation power in milliwatts per nanometre wavelength so similar to many RA-80 LED lamps: significant Blue Hill left, gentle rise to the relatively short wavelength “color peak” at just 609 nm (yellow-orange), and relatively steep drop right in the direction of deep red. In comparison with the same motif under the “ELV by Xavax” lighting, for example, the somewhat paler colours and the stronger yellow shift noticed the OSRAM light. Cone of focused becomes noticeable, however, by a brighter illumination and very clearly defined, strong shadows. 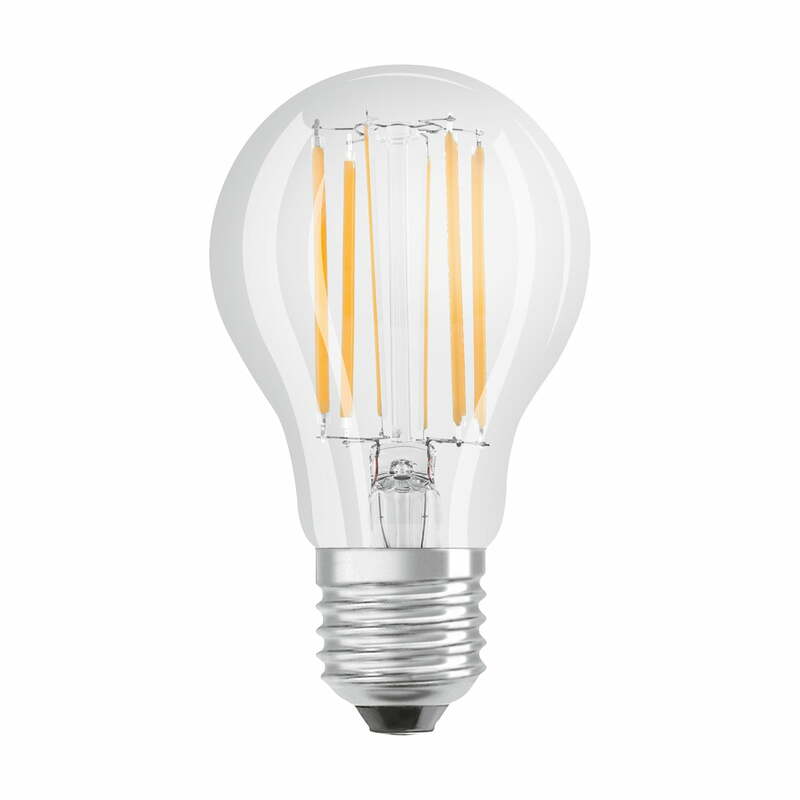 The ELV lamp with its wider dispersion that is considerably “softer”. What you like better? A matter of taste. 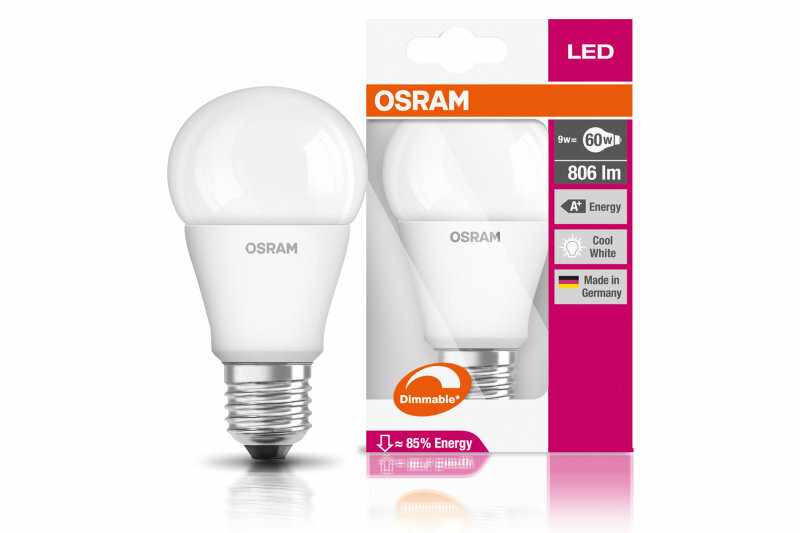 The OSRAM “LED Star classic A 60” can at least score with very high efficiency – 100 lumens per watt, EU eco-label A + (Pack snippet right) and a Stromsparpotenzial of almost 87% compared to a similar light 60-watt light bulb. One of the predecessor models needed another whopping 10 Watts for the same brightness – I call time progress. Yes, these non-dimmable 8-watt LED lamp (Data print right) is pretty cheap at Less than 5 euros, final assembly is still in Germany, has no visible processing or quality defects, met all its performance promises and saves us annoying noises, Flackereien, Flimmereien, or heat messy.